We are accepting reservations for Corporate Team Building Events for 2018. Contact Aaron Conrad at aconrad@bjescolumbus.com to discuss your event today. Unlike the many sports organizations we serve, corporate teams are the only competitive teams in the world that do not practice. In most corporate and professional settings, every day is game day. Our programs are workouts and practice sessions that strengthen teams, build confidence, and help individuals accept greater responsibility for being their “best-self.” And while our experiences provide opportunities for teams to take on extreme challenges, the heart of our work is not about the physical activities. We have guests in every program that are not able or interested in taking on physical challenges. The real transformation happens in the lessons we teach and the way that we consistently inspire teams to strive for entirely new levels of interaction. 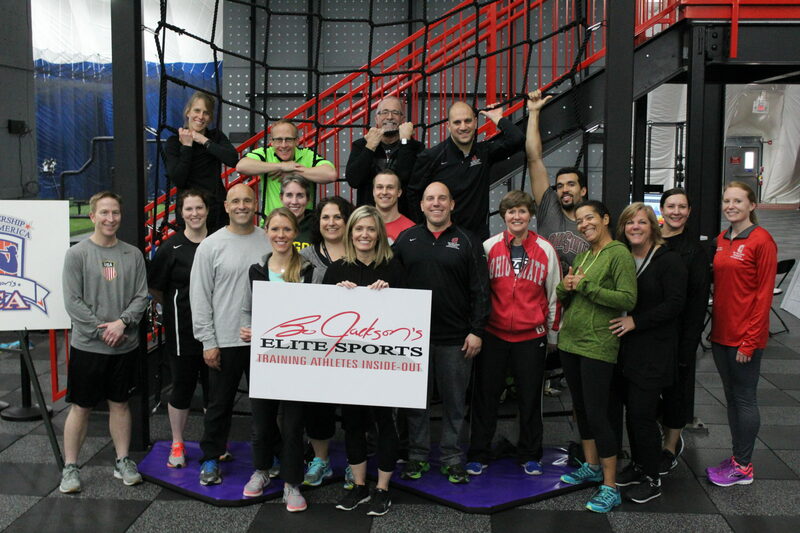 Bo Jackson’s Elite Sports features a unique training space for all turf sports with 72’ high ceilings; a full-sized MLB infield, a full-sized fastpitch softball infield, batting cages, plus two multi-purpose fields for football, lacrosse, and soccer. BJES is dedicated to helping athletes get stronger and faster with over 17,000 square feet of Sport Performance space, including a collegiate-style weight room, 3-lane 80 yard track, a functional training area, and The Gauntlet Sports Leadership Climbing Tower– A 42 foot tall climbing center that blends physical and mental training to give athletes the mental edge they need. To request more information and schedule a tour, please complete the following form.